Ciarán talks to some of the Irish Times business team about the stories they’ve covered this year. Plus: Laura Slattery recalls a torrid year for Facebook and Mark Paul goes through the highlights of the ongoing drama at INM. We are delighted to announce that Irish Life Staff Charities donated an incredible total of €360,000 to two Irish charities. 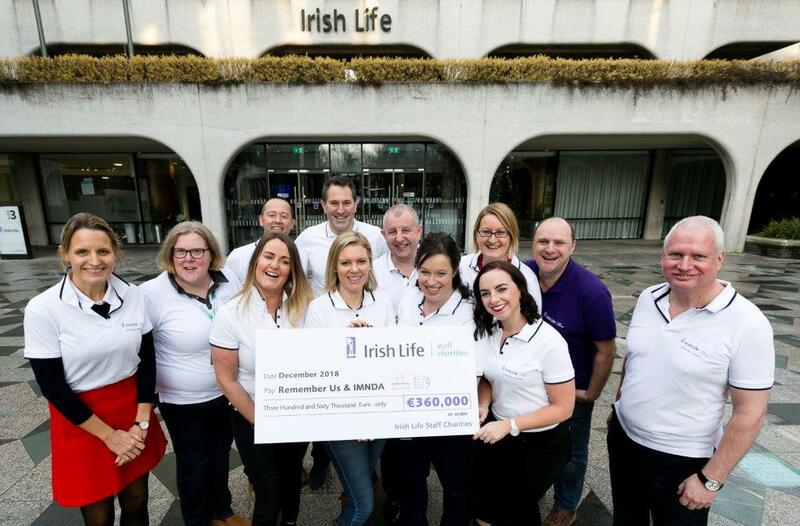 The funds were raised throughout 2018 by employees through various fundraising initiatives undertaken and the amount was then matched by Irish Life to reach this final total. Each year, the Irish Life Staff Charities committee shortlists a number of Irish charities to receive donations collected throughout the year and the final two are selected by Irish Life employees. in 2018, the charities chosen were The Irish Motor Neurone Disease Association (IMNDA) and Remember Us. Each charity received a fantastic donation of €180,000 to help provide support services and equipment needs. Laura Slattery has a roundup of some of the stories in the news this week, including RTÉ salaries, Primark and Google's most searched for terms in 2018. Michael O'Keeffe has a roundup of all the month's biggest sports business stories including the free-to-air Rugby World Cup and Nike's move into the weird world of e-sports. Irish Life's offices will close for the Christmas period on Friday, 21 December 2018 at 5pm and will re-open on Wednesday 3 January 2019. Read this news item to find out what this means for you, depending on the method you use for paying regular contributions. Peter Hamilton has a roundup of the lates business news including a terrible week for tech stocks amid broader market jitters, plus Fiona Reddan speaks on the new benchmark for rents in the capital. Peter Hamilton has a roundup of some of the week’s stories, including Ryanair’s sacking of six members of staff over a viral photograph, good news for Ikea in Ireland and Sharon Donnery beaten by an Italian economist for a top ECB banking job. Denis Staunton in London and Cliff Taylor explain the key elements of the UK budget which included a Digital Services Tax for tech giants, and how Brexit might force Philip Hammond to rip it all up and start over.